Tariq Drabu is a well-known Manchester dentist operating from his practice at Langley Dental Practice. He was born and educated in Manchester and is one of the youngest graduating dentists in the United Kingdom. He graduated from Manchester University a twenty one years old. Tariq Drabu achieved the Fellowship in Dental Surgery at Royal College of Surgeons in Edinburgh. He has been registered as an Oral Surgery Specialist with the General Dental Council since 2002. Tariq Drabu is passionate about education and trains, mentors and teaches dental students in oral surgery throughout the United Kingdom. Tariq Drabu went on to complete his Postgraduate Diploma in Oral and Maxillofacial Surgery in 2008 from the University of Manchester. He is registered as a GDC (General Dental Council) specialist for oral surgery - registration number 61705. Tariq Drabu is also Clinical Lead Dentist at NHS Heywood Middleton and Rochdale and NHS Oldham for Oral Surgery CATS Services. He continues to teach and is a tutor at the Oral Surgery at Faculty of General Practice in London at the Royal College of Surgeons. He was also nominated for the Trainer of the Year award of the Dental Defence Union VDP in 2007 for his exceptional efforts in mentoring and training new dentists. He went on to complete his Advanced Certificate in Facilitated in Learning in Healthcare Practice in 2010 from the University of Central Lancashire in Preston. The aim was to improve his dental educator role. His practice, the Langley Dental Practice also achieved recognition in 2011 with a British Dental Association Good Practice Award. Tariq Drabu completed level 7 certification in Executive Management in 2012, which he obtained from the Institute of Learning and Management. Recently Tariq Drabu has been awarded as a specialist staff member at the University of Central Lancashire Dental Clinic where he is responsible for teaching oral surgery to postgraduate dentists. Member of British Dental Association (BDA). 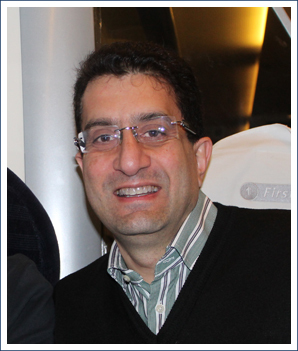 Tariq Drabu is a member of the British Association of Oral Surgeons and a member of the Oral and Maxillofacial surgeons. He is registered with the GDC (General Dental Council) as an oral surgery specialist. Since 1998 he has been a committee member for the Bury and Rochdale Local Dental Committee. From 2003 to 2006, Tariq Drabu was the Chairman for the Bury and Rochdale Local Dental Committee. 2003 to 2009, Tariq Drabu was a member of the General Dental Practice Committee. From 2006 to 2009 he was a member of the Representative of the BDA. January 1987 to January 1988 - House Officer Manchester Dental Hospital. January 1988 to November 1988 - SHO in Oral Surgery at Stafford District Hospital. November 1988 to September 1989 - SHO in Oral and Maxillofacial Surgery at Withington Hospital in Manchester. May 1990 to April 1993 - Part Time Clinical Assistant in Oral Surgery at the Trafford General Hospital in Manchester. September 1989 to April 1993 - Associate Dental Surgeon at Partington in Manchester. April 1993 to July 1995 - Dental Surgeon at Social Insurance Hospital in Riyadh, Saudi Arabia. September 1995 to November 1996 - Dental Surgeon at Al Hada Armed Forces Hospital in Taif, Saudi Arabia. November 1996 to November 1997 - SHO in Oral and Maxillofacial Surgeon at the Manchester Royal Infirmary. January 1998 to December 2000 - Part Time Clinical Assistant in Oral Surgery at Manchester Royal Infirmary. January 2000 to April 2006 - Manchester District Postgraduate Dental Tutor. 2005 to 2009 - Vocational Trainer for Wythenshawe Scheme. September 2001 to September 2006 - Part Time Hospital Practitioner in Oral Surgery at the Manchester Dental Hospital. September 2006 to August 2009 - Part Tile teaching oral and maxillofacial surgery at the Manchester Dental Hospital. January 1998 to present - principal dentist, director and specialist in oral surgery at Langley Dental Practice in Manchester. February 2010 to present - Director DHS Dental practices at The Phoenix Centre in Heywood. September 2010 to present - Oral surgery dental clinical lead at NHS Oldham.